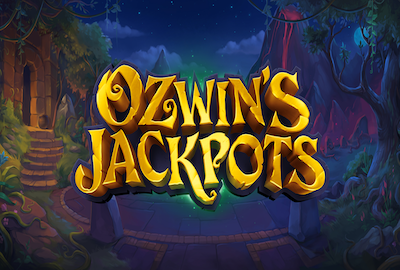 Yggdrasil Superior Gaming have been putting out a series of exciting new slots and their latest is called Ozwin’s Jackpots, a 5 reel 20 payline slot. When we first saw the name of the slot we expected some kind of Australian themed game, but it’s actually a kind of mystic themed slot. Ozwin is in fact an owl, who’s relying on his trusty apprentice to “weave spells in an attempt to bring back the mighty magician to his human shape”. The spells are weaved by spinning the reels of the slot. The symbols on the slot comprise Ozwin, his apprentice, hearts, spades, diamonds, clubs and various magical artefacts. Wagering starts at 20p but you can increase your bet up to a maximum of £40 a spin. The wagering levels are 1p, 2p, 3p, 5p, 7p, 10p, 20p, 30p, 50p, 70p, £1 and £2. An autoplay option lets you select 10 to 100 auto spins. More auto spins options are available when you make a selection. 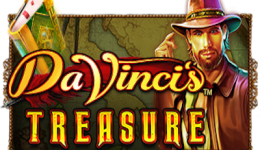 One of the main features of Ozwin’s Jackpots is that it has five progressive jackpots. During gameplay you can accumulate coloured crystals – you’ll need to get five of the same colour to get 10 free spins and a coloured orb. During the free spins you’ll need to collect five orbs of the same colour in order to win the jackpot. It goes without saying that you’re going to need to play a lot to get five crystals and then hope for a minor miracle to get the five orbs. 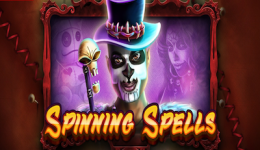 More free spins, and another chance to win the jackpots, are offered when you get three or more free spins symbols on the reels. Get 10 free spins with 3, 4 or 5 symbols. If you get 4 symbols then you also collect 1000 coins whilst there’s 10,000 coins on their way to you with 5. All line wins in the free spins rounds are multiplied by x3. The other feature of Ozwin’s Jackpots is a bonus round. Get 3, 4 or 5 bonus symbols on the reels to activate the bonus round where you’re invited to open up to 18 spellbooks. Reveal coins to add to your win or add crystals to add to your collection. If you reveal an evil spell then it’s the end of the round.If you’ve not played a Yggdrasil Superior Gaming slot before then they do have one very nifty feature. You can review all your plays and even re-run them. This is good if you’re lucky enough to get a big win. Apparently you can share these replays with friends etc on social media, but we haven’t figured out how that actually works. We enjoyed playing Ozwin’s Jackpots. It has a good back story and there are plenty of features to keep interest. On the downside, we’re not sure how many spins you need to accumulate five crystals of the same colour but are assuming you’ll need to play quite a few. The free spins symbols don’t drop in that frequently and we saw no hide or hair of the bonus round. The five jackpots also don’t change when you increase your wager. 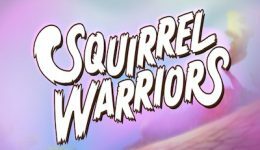 These aren’t major issues on their own, but combined we think that they may limit your interest in investing too much time and money on the game.